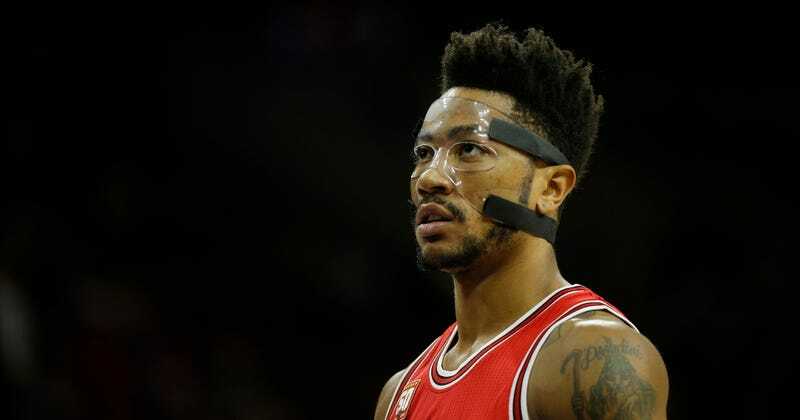 Derrick Rose has been playing this season with double vision produced by a broken left orbital bone in his face. I am no medical expert, but this sounds like an active hindrance to the practice of playing NBA basketball, and Rose’s career-low stats back this up. To their credit, the Bulls are 6-3 despite a series of little injuries sapping Noah and Rose. They’re playing something between Thibs basketball and the uptempo, free associative style Hoiberg promised, with a high pace and still a good defensive rating. Their offensive efficiency rates out in the bottom five in the NBA, but I’m sure Derrick Rose being able to see the physical world as the rest of his teammates do will help them inch up.